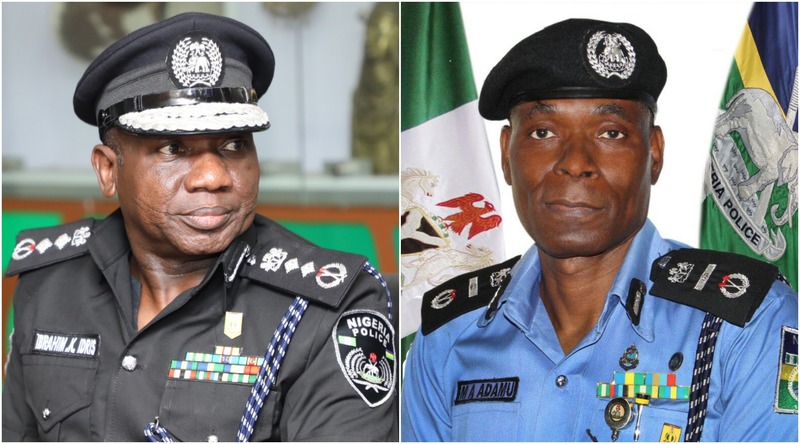 The Assistant Inspector-General of Police, Mohammed Adamu is set to take over from the outgoing Inspector General of Police, Ibrahim Idris, today. Mohammed, who served as the Commissioner of Police in Enugu State and currently the Assistant Inspector-General of Police, Zone Five, was born on Nov. 9, 1961 and enlisted in the Police in 1986. He holds a Bachelor Degree in Geography. AIG Adamu was in the Presidential Villa, Abuja, this morning at about 10.55 a.m and went straight to the office of the Chief of Staff to the President, Abba Kyari. President Muhammadu Buhari is expected to make the announcement any moment from now. A source in Aso Rock has confirmed that a replacement to the retiring IGP would be named today, among the shortlisted candidates. One of the persons said to be on the shortlist is AIG Adamu Mohammed. If appointed, the DIGs ahead of him in rank may be required to go on compulsory retirement. The out-going IGP Idris, whose mandatory 35 years in service expired on Jan. 4, is due to leave the services of the Nigeria Police Force today (Jan. 15) after clocking 60 years of age today, Jan, 15. The agenda of the meeting between the President’s Chief of Staff and the police boss is unknown as the out-going IGP Idris was seen performing his last public official duty of wreath laying at the Armed Forces Remembrance Day Celebration in Abuja on Tuesday. The meeting between the president’s Chief of Staff and Mohmmed Adamu was still ongoing as at the time of filing this report.